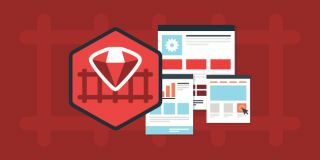 Ruby on Rails is one of the most powerful frameworks around and you can learn everything there is to know about it with access to this massive course library. Some of the best web apps are powered by Ruby on Rails. You can learn to build your own apps and services using this incredible framework with a 1-year all access pass to Codeplace, on sale now for just $49 (approx. £29)! You can become a Ruby on Rails rockstar with the help of Codeplace. Get a full year of complete access to over nearly 30 hours of courses and a community of over 30,000 developers. You’ll learn by building 28 real apps, plus earn certification after every course you complete so you can prove your skills. A 1-year subscription to Codeplace usually retails for $348, but you can save 85% off that price right now. That means you pay just $49 (approx. £29), a fantastic deal for full year of training!